Do you know that there are two solutions on how to make pit bulls bigger? It is either you make them fat or build their muscles. Of course, you do not want to make them fat. Obesity and diabetes on dogs are real and not just gossip or myth. Obesity is the most common dog health problem not just for pit bulls but also for the other breeds. Improper food intake and lack of exercise are the causes of this. Dog obesity may lead to fatal consequences like tumors, heart disease, liver disease, and death. Just like in humans, diabetes in dogs is often caused by excessive fat or sugar intake that may damage your pooch’s pancreas. The human parents are the ones to blame for causing these health problems on their pet dogs. It is because they are the ones who are responsible for the feeding and activities of their dogs. 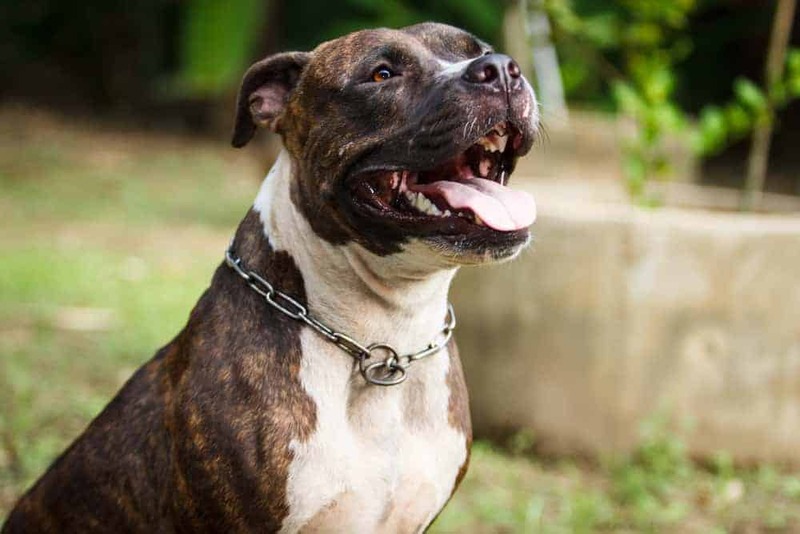 Just like how you can be responsible for your dog’s health problem, you are also responsible and capable of making your pit bull bigger by building its muscles instead. 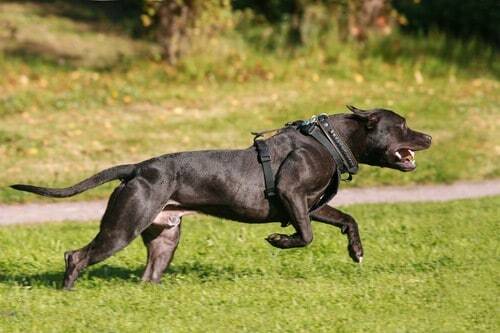 Building your pit bull’s muscles will make it strong and active. The most common mistake that humans do once they get a pit bull under their wings is to get caught up in their excitement. They want to see the results fast. For this reason, they tend to overfeed their pit-bull puppy. Overfeeding may lead to dog health problems that may lead to future problems that may last a lifetime. Although it is advisable to start observing the dogs’ proper diet while they are still young, you have to make sure to do it properly and gradually. The secret to leading the puppies to have a muscular built when they reach their full growth is the intake of amino acids particularly the 10 amino acids found in proteins. These amino acids are essential for muscle building and bone strengthening. You can provide them these essentials by feeding them dog food intended for large breed puppies. Although these dog foods are more expensive than the regular dog foods, the result will pay off. By learning how your pit bull’s body works, you will know the best time to adjust your dog’s diet. You will also know if your dog has reached its fully developed stage. Commonly, pit bulls should reach their maximum height after a year they were born. They should start developing their muscles when they are 18 months old to two years of age. This stage is the best time to focus on developing their muscles. Your pit bull should be fully developed by the age of three. 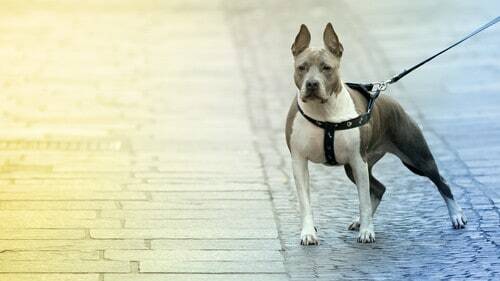 It is better to give your pit bull some food in several servings with few portions than to give them lots of food in one serving that will last throughout the day. Start by identifying how much food your dog needs for a day and divide them it into four portions. Add fish or boiled chicken as two separate meals. Here is the suggested meal interval. First meal (8:00 am): One-fourth of the dog’s meal for the day. Second meal (11:00 am): One piece of fish or chicken. Third meal (1:00 pm): One-fourth of the dog’s meal for the day. Fourth meal (3:00 pm): One piece of fish or chicken. Fifth meal (5:00 pm): One-fourth of the dog’s meal for the day. Sixth meal (8:00 pm): One-fourth of the dog’s meal for the day. You should be aware that some dogs are allergic to chicken. For this reason, it is best to consult your vet first before following this meal interval to ask for a good alternative. Your dog’s vet knows best. Proper diet and exercise go together in building your dog’s muscles. In this step, train your dog’s endurance through weight pulling. You can do it by having your pit bull pull a tire or a weight with a harness. You may also install a spring pole in your backyard to exercise your dog’s neck and jaw by pulling the spring pole. 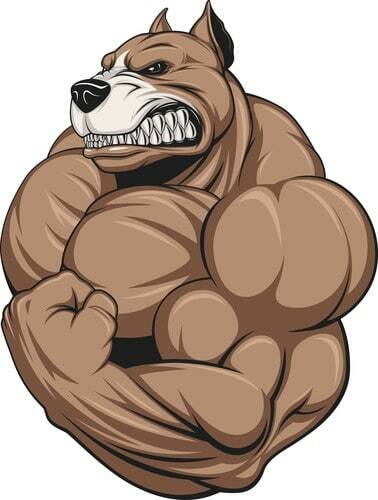 In the process, remember that your dog will tear some of their muscles. That is why it is important to observe your dog’s proper diet to rebuild their tired muscles. Also, do not wear out your dog by pushing it beyond its limit. Always watch out if your dog is growing tired. 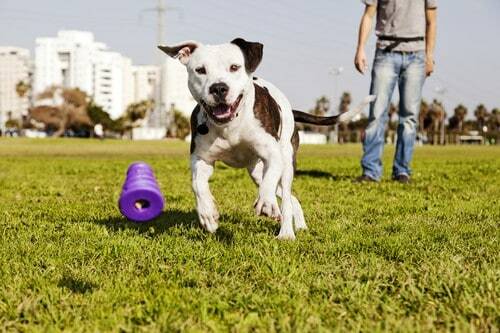 Let your dog have a cardio workout for only a short period with a maximum of 15 minutes per day. Do not go for an hour or two because it will not help to build your dog’s muscles. It will only burn them. The suggested way to do it is by walking your dog every morning or by training your dog to run on a treadmill. It is better if you use the treadmill because it enables you to control the speed. You may also put some weights for more intensity by putting a weight vest on your pooch. 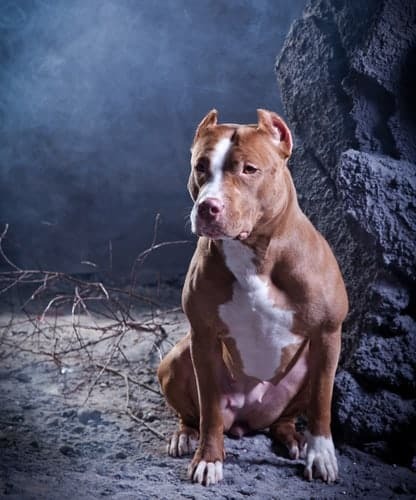 I hope you enjoy this article and you learn that building your pit bull’s muscles is the best way to make them bigger. Muscle building enhances its strength and motion range, which prevents some possible injuries. It also makes the dog healthy by preventing fatal diseases like diabetes and obesity. We all love our dogs, and we only want what is best for them. 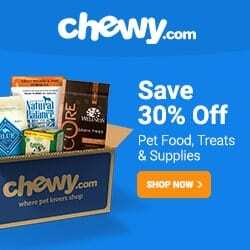 As pet owners, we are responsible for our dogs’ physical activity and diet. For this reason, we are the ones to blame if our dogs become sick because of diabetes and obesity. Therefore, as pit bull owners, we should make sure to provide them with proper food and exercise. Keep them fit by building their muscles in a good way. If you want to give more suggestions on how you can make your pit bulls bigger, share it in the comments below.